Hello! Today I have Painted Polish's new 2018 duo to share with you. Those of you who read my blog regularly will know I am a little bit obsessed with Painted Polish at the moment, and I'm also a sucker for pinks - so as soon as Lexi announced her new duo was going to be pink, I knew I would have to get them! Read on for my full swatches and more info. 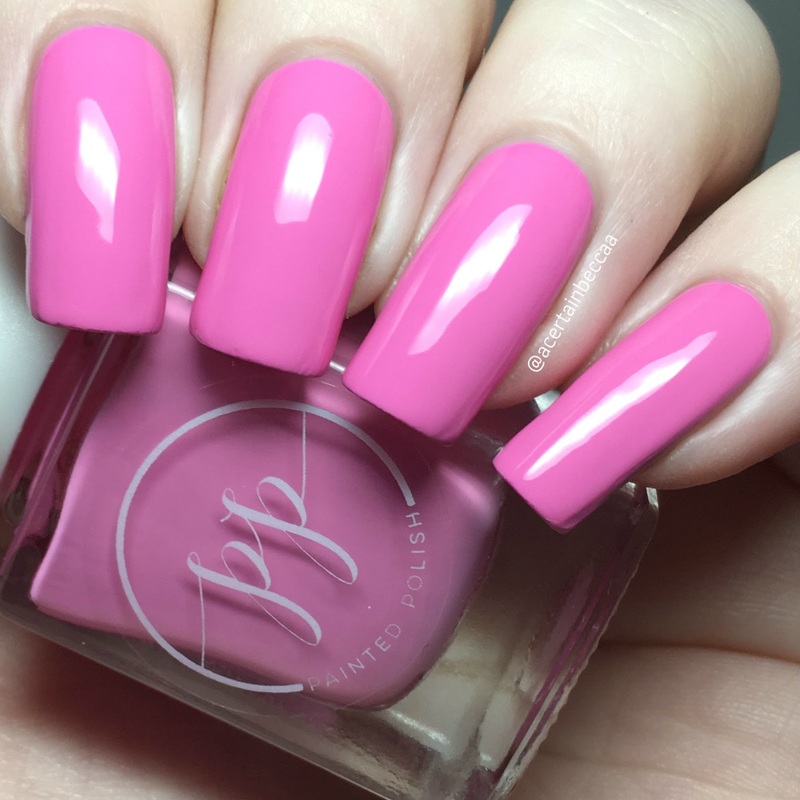 'Stamped in Rose' is a medium pink creme, described by Lexi as 'the perfect Barbie pink'. As with all Painted Polish cremes it doubles as a stamping polish. Due to this, the formula is slightly on the thick side, but is very smooth and easy to apply. You could easily get away with just one coat. I did add a second for some minor light streaks. Below is two coats with topcoat. 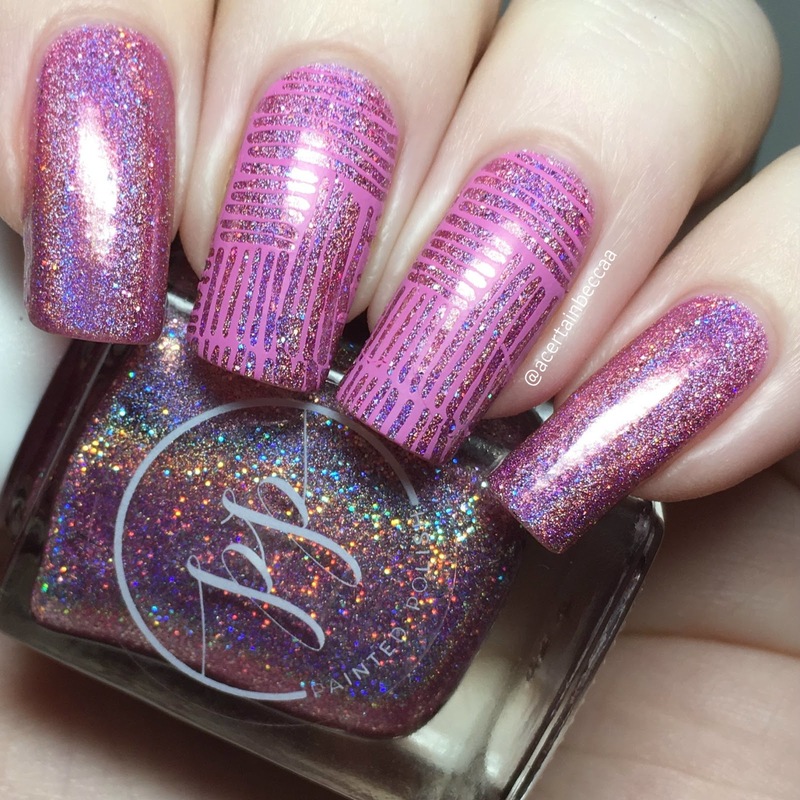 '2018' is a medium pink ultra holographic with added holographic microglitters. It has a super smooth and easy to apply formula. This does start off slightly sheer on the first coat, but easily builds up to full opacity with a second. Below is two coats with topcoat. I couldn't resist doing some quick nail art with the duo. I used 'Stamped in Rose' to stamp over '2018'. As they are both fairly similar shades of pink, it's not the most obvious stamping - but I do like how subtle it is! The pattern is from UberChic Beauty plate 23-03. What do you think? Isn't this such a gorgeous duo? I have a feeling I will be reaching for both of these time and time again, but especially 'Stamped in Rose'. 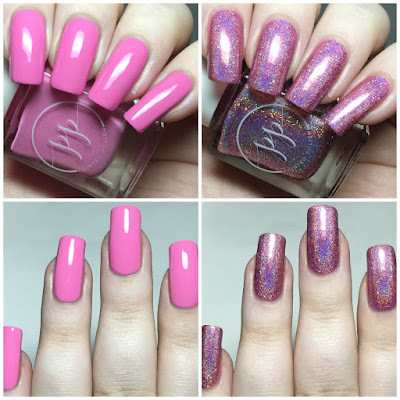 Lexi's cremes are my current go to polishes for any kind of stamping. I'm happy to finally have a pink! 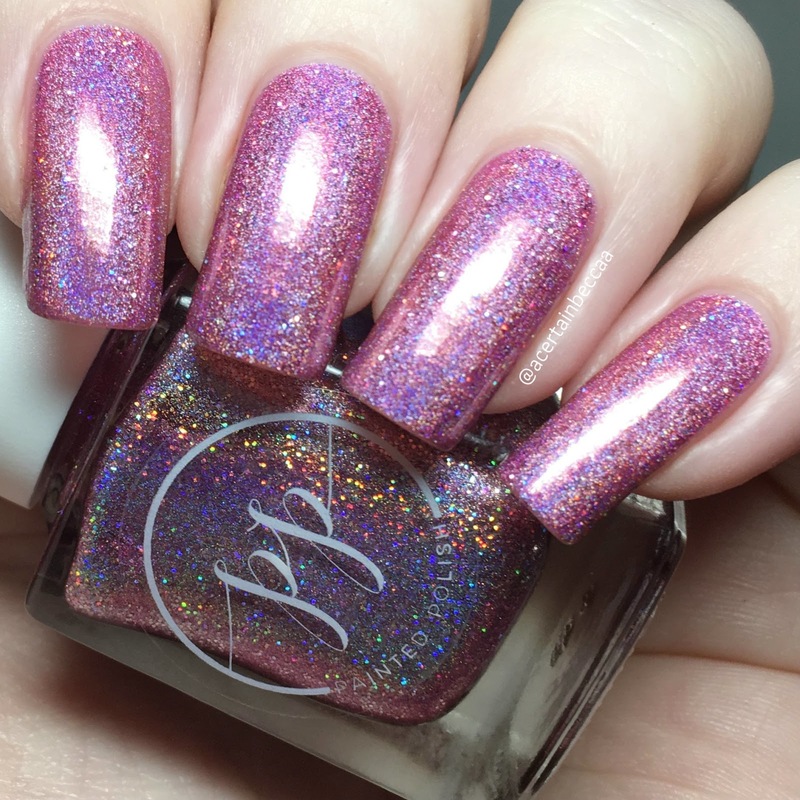 The 2018 Duo is available now on the Painted Polish website here. I purchased mine from Rainbow Connection, although unfortunately they are already sold out - keep an eye out for a restock!